It’s a fair bet that most classic cars that fetch up in small, Southeast-Asian countries have a good story to tell. 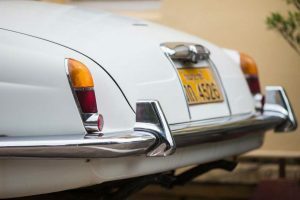 But one look at the vintage Jaguar that lives outside a restored colonial villa in downtown Vientiane, and it’s clear it was once destined for great things. And not just great things, but a life of royalty. 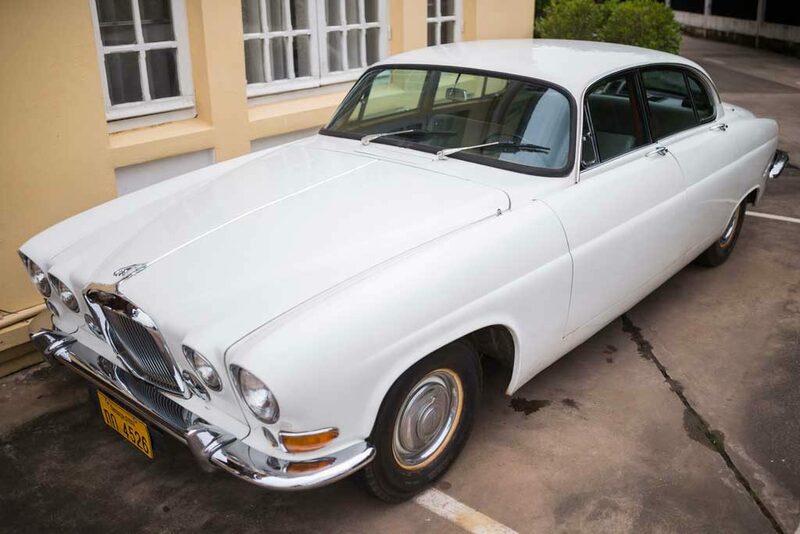 The 1966 Mark X Jaguar – the very first Jaguar to arrive in Laos – was purchased new, sometime in the late 1960s, by the then Mayor of Vientiane. The sleek, creamy-white car was intended as a gift for the Crown Prince upon his coronation, which was to take place in what was then the capital of Luang Prabang. And when it arrived in Vientiane in all its shining newness, it truly was fit for a king. But this destiny would never be fulfilled; by the early 1970s, Laos was in a time of great upheaval, and by 1975, the country’s revolution came to pass, the regime was overthrown, and the monarchy abolished. The prince never became king, and the mayor had no place in the new regime. The intended royal gift fell into the hands of the former mayor’s wife, at a time when the new political regime was strongly discouraging all displays of wealth or ostentation. Food and petrol were strictly rationed, and nobody had the gall – let alone the means- to drive around town in something so suave as a Jaguar. For the next couple of decades, it would stay put in a domestic garden, eventually to be overrun by chickens. 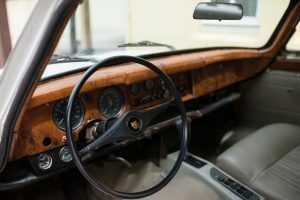 By the early 1990s, when rules about material possessions had eased somewhat, the mayor’s wife found a buyer for the car – a restaurateur who would eventually acquire the car that was once bought for a future king. By then, while its exterior and interior fittings had stood the test of time, the engine was shot, needing some serious work by a Thai-based British mechanic who spent months restoring the car and making it roadworthy. Alas, time and neglect had ultimately rendered the Jaguar too expensive and unreliable to use as a city car. But despite much admiration and many offers to buy it, the current owner has held tight to the family heirloom with royal connections. Today, while the prince’s Jaguar sits proudly on display outside Kualao Restaurant in Vientiane, and is routinely admired by local patrons and tourists alike, Jaguar has just recently opened its first Lao outlet. 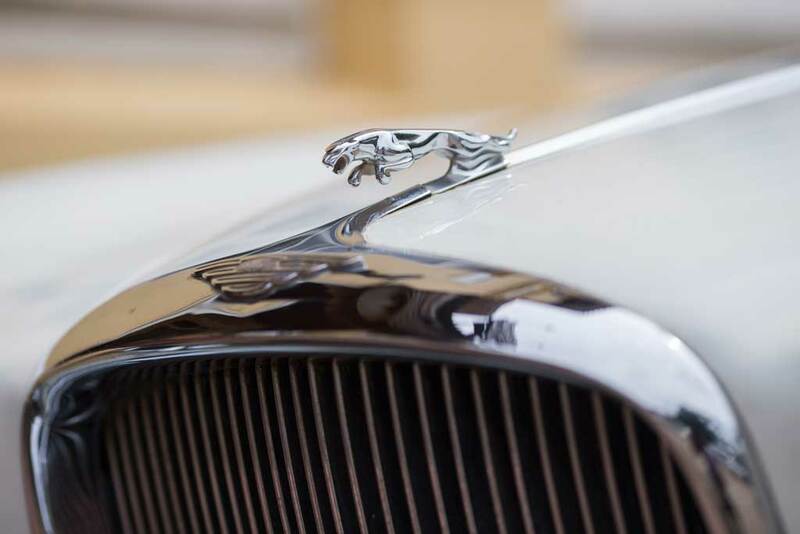 Meanwhile, similar vintage models routinely sell in Europe and America for tens of thousands of dollars, while modern Jaguars are appearing on Vientiane’s city streets with a panache that is most reminiscent of regal times. It’s clear to any Jaguar lover why such a car would be the first choice when selecting a gift for a future king. And in Laos, Jaguar drivers can today cruise the streets in the knowledge that they’re part of an enduring royal legacy.